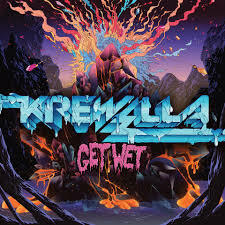 Just about a year ago I had first discovered the Chicago trio known as Krewella and little did I know at the time that the EDM/Pop group would begin to take over the scene. With excellent production, sultry vocals from the two sisters, and the incredibley energetic live shows, they finally are close to releasing their debut album Get Wet. We've been previously teased with singles, all of which can easily cross into the pop and mainstream appeal, and now we have a full body of work. Stream the record below and make sure you get yourself a copy next week.